Farrar, Straus and Giroux (BYR), 9780374302511, 240pp. 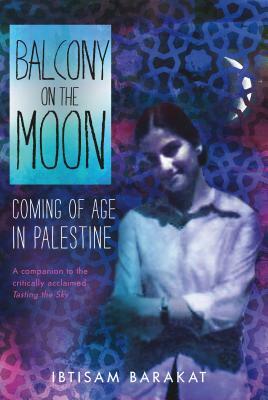 Picking up where Tasting the Sky left off, Balcony on the Moon follows Ibtisam Barakat through her childhood and adolescence in Palestine from 1972-1981 and chronicles her desire to be a writer. In this follow-up to Tasting the Sky, a young Ibtisam finds inspiration through writing letters to pen pals and from an adult who encourages her to keep at it, but the most surprising turn of all for Ibtisam happens when her mother decides that she would like to seek out an education, too. This memoir is a touching, at times funny, and enlightening look at the not often depicted daily life in a politically tumultuous area.